Back in August of this year, a RISD friend invited me to one of their alumni events here in Hong Kong. 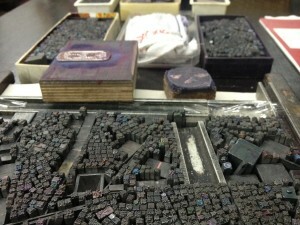 It was called “Word Jamming” at Wai Che Printing Company (伟志印务公司) — translation is “great aspiration printing company” — and we went to visit the old, Chinese print shop in Sheung Wan. 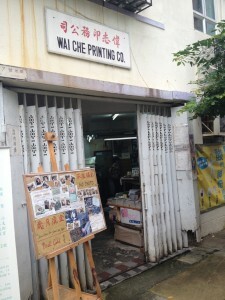 At Wai Che Printing, there were only a few print machines, a shelf for the printing blocks, a desk for paperwork, and a long table for the master’s guests. 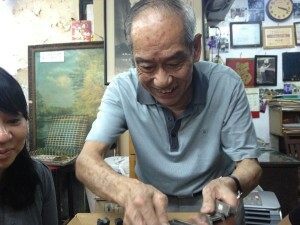 Mr. Lee Chak Yue, the shop owner, told his story. We got to hear how the neighborhood had changed and is continuing to change. 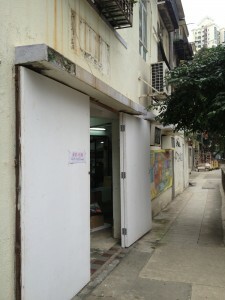 The whole area from Central to Sheung Wan used to be filled with printers, print shops, and other paper-related storefronts. 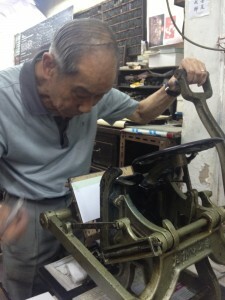 Mr. Lee was one of the last shops in the area who had the old print-press and type-set machines. 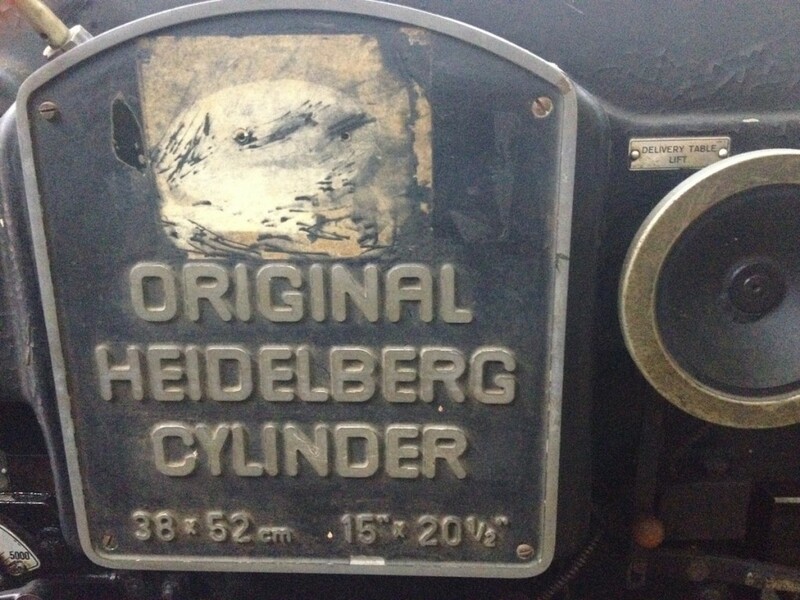 The old Heidelberg machine used individual blocks for each chinese character. 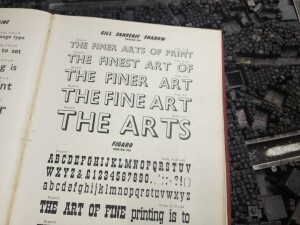 He showed us old font books for English characters, and let us see the many old print-blocks he had. 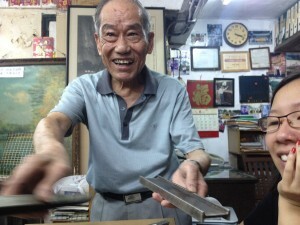 He elaborated, “proper printing is now done in China, we only take orders here.” Although it’s understandable and necessary, it’s sad to see this craft and art disappearing. The old man also informed us that his space was under high demand due to development and gentrification. The government wanted to take over his shop and use it for redevelopment, similar to what they have done with apartment blocks just on his block, in the same complex. The old man wanted to turn his shop into a museum. This ‘word jam’ session that I was attending was one of Mr. Lee’s ways of spreading his story and making moves towards the museum purpose of sharing knowledge and information. Not to mention, it was a fun, different, and engaging experience. 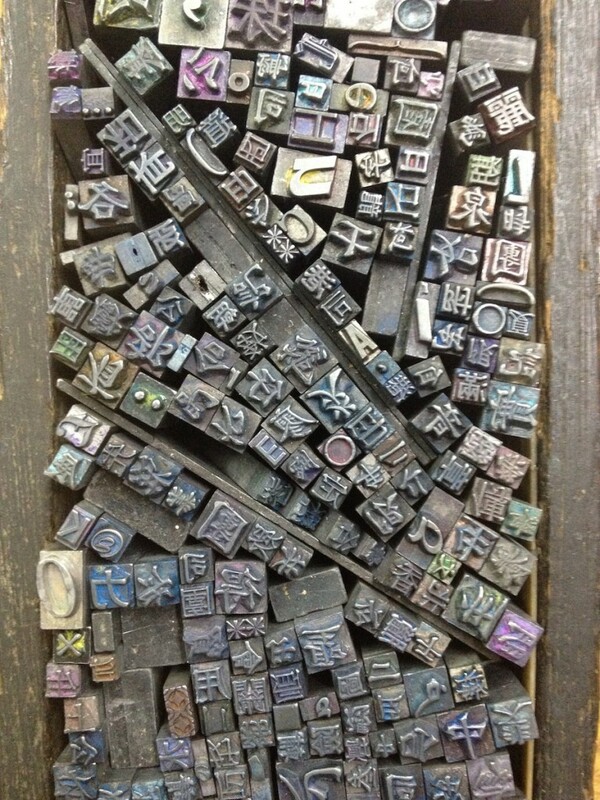 The activity for word jamming was to use the old print blocks as if they were stamps to make designs and patterns; to make art. If there was a museum, it would show visitors the history of the neighborhood of Sheung Wan and educate people of the way before the digital age. What a great idea..! As much as I’d like to make myself think I will be visiting the new shop. I’m sure I really won’t, and I think maybe the old couple working away on Christmas day knew that as well. Mr. Lee’s Wai Che Printing Company will no longer be in close proximity, on my way to the hike up The Peak, and down the street from some of my favorite restaurants. It seems much of Hong Kong is moving in this direction. 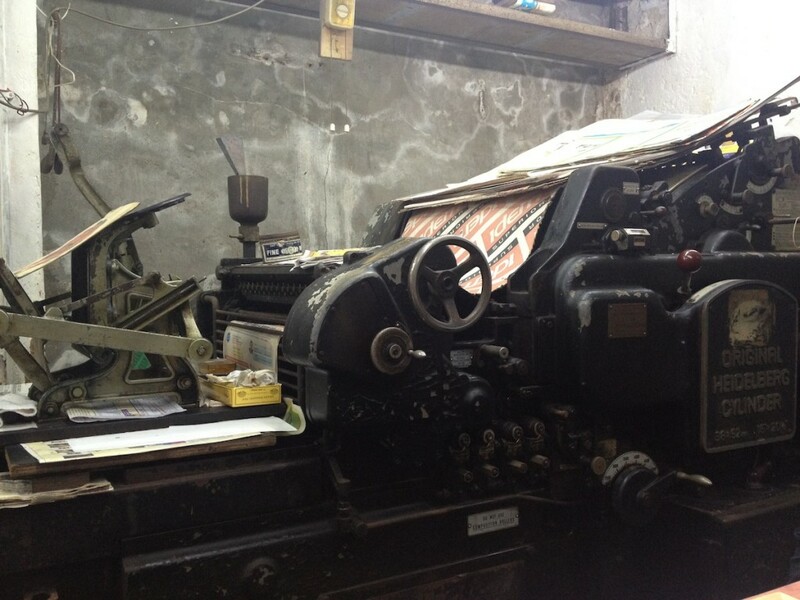 And having had that personal experience of making printed art at this little print shop really hits home. 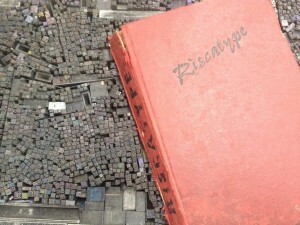 I personally heard the old man’s story and his passion for just working with print everyday. 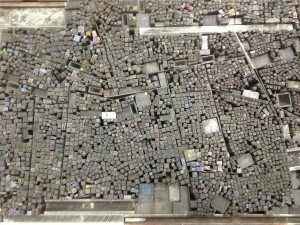 He would say that it used to take 1 day to typeset 1 A4-sized letter. And be sure not to make any mistakes or you’ll have to start all over! As the MTR expands, many of the property prices change and rise, forcing old shops to shut down and new ’boutiques’ to move in. Even chains like the Watson’s convenient store have been ‘kicked out’. And as much as I love these small boutiques, no longer having old pawn shops, stalls selling smelly dried seafood, snake soup, or the local noodle shop is of course not the same. The character of the city changes. And this place becomes more western than it already is. Tourists will have to look into the nooks and crannies and very hard to find what was once there. UPDATE: The shop is no longer there. Sad, this place is right by me and I walk by it all the time when I walk around my neighborhood. I always peek inside, but have never really visited.